Natural treatment of radiation poisoning. Radiation poisoning is also known as acute radiation sickness, radiation poisoning and acute radiation syndrome. This is a term which is used to describe the damage to your body that is caused by a large dose of radiation which is often received in a short period of time. How much radiation you have absorbed will determine the severity of signs and symptoms. The X – ray and CT which are low – dose radiations are not causing radiation poisoning. It is serious condition and often fatal but it is rare to get it. The signs and symptoms of radiation exposure depend on which part of the body is affected and whether the contamination is external or internal as well as how sensitive to radiation is the affected tissue. The most common signs and symptoms of radiation poisoning are weakness, fatigue; dizziness and disorientation; fever; headache; diarrhea; nausea and vomiting; low blood pressure, poor wound healing, infections, bloody vomit and stools and hair loss. Here are possible sources of high – dose radiation: detonation of standard nuclear weapon; an accident at a nuclear industrial facility; detonation of conventional explosive device that disperses radioactive material (dirty bomb); an attack on a nuclear industrial facility; detonation of a small radioactive device. Talk with your doctor if you suffer from radiation poisoning to tell you which is the best natural treatment for you. Cold – pressed organic vegetable oils: Some oils, such as coconut oil, extra virgin olive oil and sesame oil can help to pull the radiation out. There are some sources which are recommending drinking four ounces of oil if you have exposed to radiation. These oils have lipids which bind the toxins but at the same time they can offer you a protective layer on cellular membranes. There are some studies on mice in which were found that the olive oil can protect the mice against high amounts of X – rays ranging from 300 – 2400 roentgens. Beets: When someone has been exposed to radiation, then the blood collagen in the body can be broken down. There are some studies in which are founds that beets can help to aid in the rebuilding of damaged hemoglobin. In the studies that were done on lab animals was shown that rats who have eaten a diet heavy in beet pulp are able to more effectively reduce the effects of radioactive cesium -137 than rats who did not eat beets in their diets . Those rats that have eaten beets have absorbed and detoxified up to 100% more effectively compared to rats that did not eat beets. Vitamin B-12: The fast absorbing Vitamin B – 12 supplements, such as Methylcobalamin, can protect your body from the exposure to the Cobalt – 60 which is a product of nuclear reactors and the exposure could come from an accident at a nuclear reactor. Also it is used in the radiation therapy and it could come from a dirty bomb or spill. You should take this vitamin on daily basis, following the recommended dosage prescribed by your doctor. Eat your greens: We know that greens are the best heavy metal detoxifiers. Greens are rich in antioxidants, B vitamins, calcium and magnesium. They are very effective in chelating heavy metal toxins and removing them from your body. Bee pollen: There are some initial studies in which are said that the bee pollen can lower the side effects of radiation exposure, particularly the exposure of Cobalt – 60 radiotherapy; the X – rays and radium. The exposure to radiation can lower many of the natural vital substances in our bodies, such as antibodies and red blood cells. The bee pollen is powerful natural cure that can boost these vital functions. 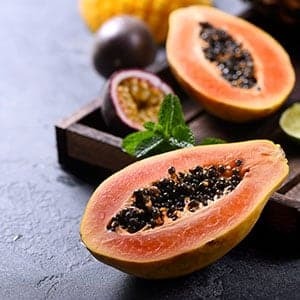 Papain: This is a cysteine hydrolase which is extracted from the papaya fruit and it is known for its ability to reduce toxicants. There was one study done on laboratory rats in which was found that half of rats supplementing with papain could survive the lethal amount of radiation while the control rats did not survive. Eat Brazil nuts: These nuts are rich in selenium . They are very effective way to stay protected from the radiation poisoning. Selenium is rich in antioxidants and it is known that it has anti – cancer effects which can help to detoxify your body and it will remove heavy metals, such as mercury. Iron: There are some women who take iron on a regular basis but most men do not take it on regular basis. It is known that when there is a nuclear event, then the iron supplements can prevent the uptake of Plutonium – 239. You should take this mineral on daily basis during exposure but you need to talk with your doctor about the long – term use of iron. Calcium and magnesium: These minerals are protecting the body from absorbing Strontium – 90. It has been proven that supplementing with these minerals can reduce the Strontium – 90 absorption by up to 90%. This element mimics calcium but the calcium and magnesium work together and they need to be balanced so if you want to have the best results, then you should take daily supplements of the both mentioned home remedies. Zeolite: This is a natural combination of sea water and volcanic ash which acts as a heavy metal magnet in the body. It has a honey – comb like structure which is physically trapping the heavy metals without removing critical minerals. In some animal studies was shown that zeolite can improve the overall nutrition and it can prevent the reverse growth of cancer cells. But there should be done a lot more studies about this topic. Include plenty of herbs: Herbs are very important for the treatment of radiation poisoning. Chives, onions, garlic, parsley, cilantro and holy basil are heavy metal detoxifiers and chelators. You should include these foods in your diet as a form of supplement or as homemade dishes. But it is recommended consuming these foods in fresh form. Breathe fresh air: Many people have forgotten about their lungs as one of the main eliminative organs. Every time we inhale and exhale, we are removing carbon dioxide and it is very important for our lives to in – take oxygen. We also breathe out toxins so if we want to stay in a good health, then we should focus on the breathing and we should inhale to the base of your abdomen. Wolsieffer JR, Stookey GK, Muhler JS. Studies concerning the effect of ferric ferrocyanide, beet pulp, and fluoride upon 137 Cesium retention in the rat. Proceedings of the Society for Experimental Biology and Medicine. 1969;130(3):953-6. Parekh PP, Khan AR, Torres M, Kitto ME. Concentrations of selenium, barium, and radium in Brazil nuts. Journal of Food Composition and Analysis. 2008;21(4):332-335. Moosavi M. Bentonite clay as a natural remedy: A brief review. Iranian Journal of Public Health. 2017;46(9):1176-83. Saljoughian M. Potassium iodide: An antidote for radiation exposure. U.S. Pharmacist. 2011;36(6):HS-25-HS-28. Zimmermann MB. Iodine requirements and the risks and benefits of correcting iodine deficiency in populations. Journal of Trace Elements in Medicine and Biology. 2008;22(2):81-92.